Man this kid out of Akron. No, not the kid who became a king, and not the kid who was on a national spotlight at the age of 18. The other kid out of Akron. The one who was a 3 star recruit; that wasn’t even ranked. This kid wanted to follow in his father’s footsteps and go to Virginia Tech, but they would not guarantee him anything more than a chance to be a walk on. The same kid who was said to not have the same upside as Johnny Flynn or Ricky Rubio after having multiple explosive games at Davidson. The same kid who everyone tried to write off after multiple nagging ankle injuries that seemed like they would be the death of him. Now, this kid is the one who dropped 54 points in Madison Square Garden. This kid has broken the 3 pointers in a season record not once but twice. This kid is the one who we all took notice when in the 2013 postseason he single handily destroyed the Nuggets. This kid is the same one who helped lead one of the greatest teams ever to a 67-15 record. This kid is the one who was named the MVP of the 2014-15 regular season. This kid is now a champion. 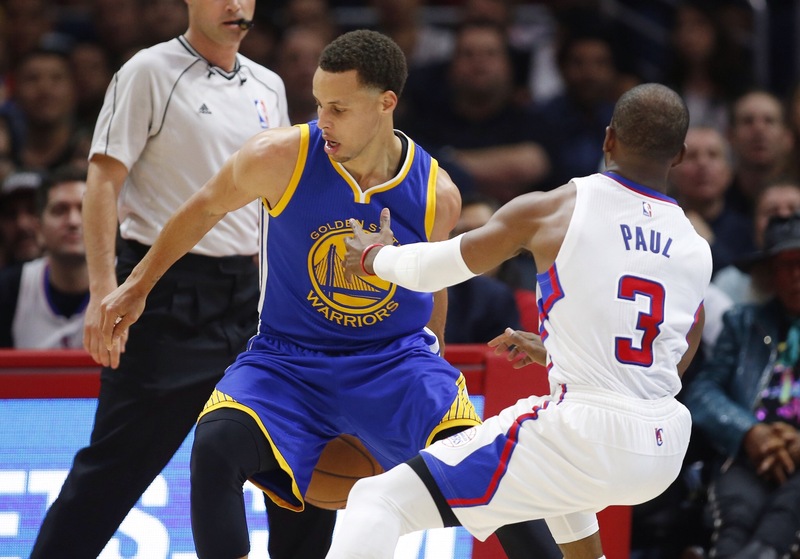 Steph Curry has become transcendent across the nation. His disregard for taking the most inexcusable shots and being a wonderful gifted passer at the same time is something to behold. 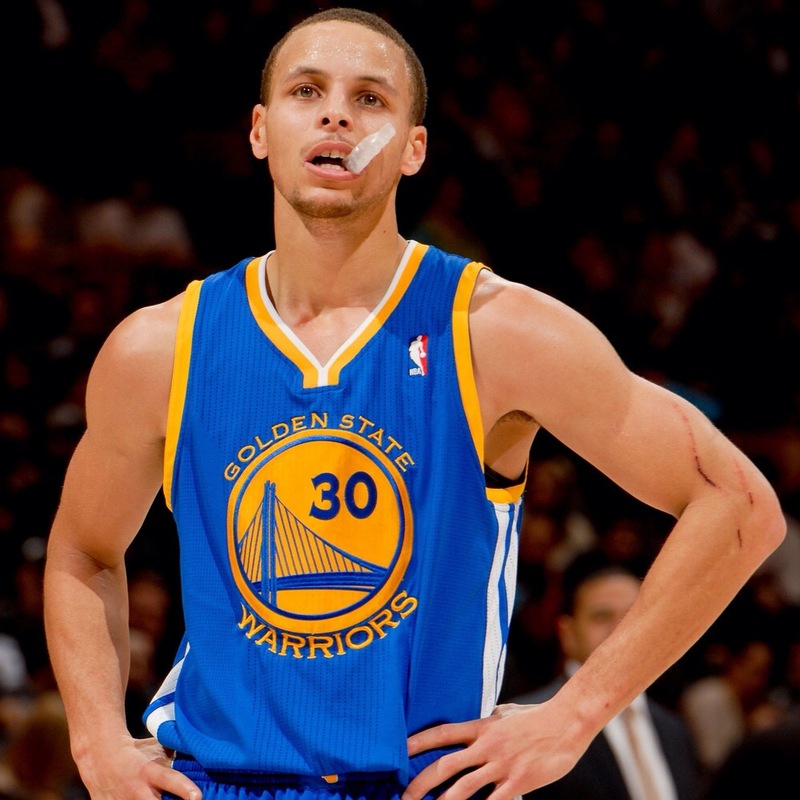 You’re going to have players 10-15 years from now that grew up wanting to be Steph Curry. Therefore, I want to end this debate right now. Nobody outside of Westbrook and Chris Paul is anywhere near the stratosphere Curry is in right now. Those two I can accept, but don’t mention all these guys who either have people get buckets on them daily (Lillard), or cannot ever have a winning record without LeBron playing with him (Kyrie). We’ve all seen how the league is changing towards outside shooting, and Steph is the spear head of that change. Let this sink in for a moment. Before Steph was in the argument for greatest shooter of all time, the argument was always thrown up whether Reggie Miller, Ray Allen, Steve Nash, or Larry Bird were the greatest. All extremely efficient but none of them ever took the shots that Curry takes. Curry nearly shot 50% this season, and all you have to do is look up any highlights against the Clippers and Chris Paul to know none of these shots are simple pull ups or spot ups. He’s arguably the best ball handler in the game and he utilizes that to create shots 30 feet from the basket. It’s something we’ve never seen and likely won’t see again for a very long time. This past season, Steph averaged his least amount of minutes ever outside of the season he only played 26 games in. Most teams couldn’t even get him to play in the 4th quarter unless they were a worthy opponent. He shot 48% from the field, 44% from 3, and 91% from the free throw line. He averaged 23.8 points, 7.7 assists, 4.3 rebounds, and 2.0 steals. He had a PER of 28, led the league in win shares per 48 minutes, and his team was a best 122 points on 100 possessions with Steph on the floor. Steph is on a wonderfully coached team along with crazy amounts of talent all around him. This shouldn’t bring him down as an overall player in any ranking. Jordan had one of the best supporting casts ever in the late 90s and we all agree that he is the greatest player to ever step on to an NBA court, so let’s not try and bring down Steph for the same thing. In the playoffs, Steph brought his game to another level just like he has every year since destroying the Nuggets. Averaging 28.3 points, 6.4 assists, and 5.0 rebounds all on 45% shooting from the field and 42% from 3. He took the Pelicans’ heat out with that crazy corner 3, figured out Conley then dismantled the Grizzlies play by play, took the MVP runner up head on and came out on top, and took on that other kid from Akron, The King, and kept the Cavs from making any type of comeback scoring 19 in the 4th quarter of the closing game. This baby faced assassin has a bright future still. The Warriors have a great young core around them that has a good 5+ years left on them. Watch out everyone in the West, because I can guarantee Steph will continue giving defenses hell, breaking the system, hitting shots that you allow 99% of other players in this league to take. Curry is a special talent that wasn’t recognized for most of his life despite being the son of the sharpshooter Dell Curry. He was that other kid who wasn’t being nationally televised in high school. He wasn’t expected to be the next Jordan. He wasn’t expected to even make the NBA as an unranked player and a 3 star recruit. Now he’s making everyone pay and he’s on top of the world. 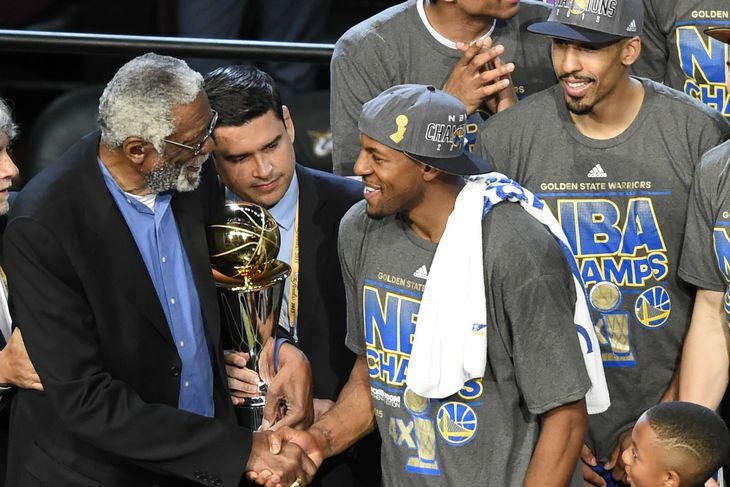 By now you’ve probably read or heard of the Iguodala story a thousand times over. This could possibly be a different take on Andre that you wouldn’t see from many other columns, blogs, or articles. I’m not unbiased when it comes to my man Iggy, and I will fully admit that. I am a Philadelphia 76ers fan before anything else. I grew up a fan of Allen Iverson and my love for the team stayed even after he left for the Nuggets. The Sixers needed someone to step up as the team’s best player and who better for the job than the young, extremely athletic wing with the same initials of A.I. ? Andre was never expected to be a star or the leading man for a team, but my Sixers threw all that responsibility on him pretty early. Coming out of college, he was scouted as he could be a great defender, extremely athletic, but was very poor on the offensive end and nobody knew if he could translate his game to the NBA effectively. In college at Arizona, he won most valuable player on the team by votes from the rest of his teammates. He had 3 triple doubles in his sophomore season which is 2nd most in a single season of that conference (1st is Jason Kidd). Everyone knew he could effect many aspects of the game, but nonetheless looking back there were 7 guys picked over him that should not have been. Dwight Howard, Emeka Okafor, Ben Gordon, Shaun Livingston, Devin Harris, Josh Childress, Luol Deng, and (facepalm) Rafael Araujo were all picked over him. Obviously Howard is the one exception, but every single other guy mentioned doesn’t even start; hell 3 of them aren’t even in the league anymore. During the Iggy era in Philadelphia, we went to the playoffs multiple times without much success because of the supreme lack of overall talent compared to our competition. Despite those multiple appearances without much surrounding talent, Iggy was only an allstar once. He never quite earned the respect he deserved from the coaches in the league. Even though Iggy was known to be an elite defender for many years, he only made all defensive teams twice. His best seasons went completely unnoticed when in the 06-07 season he averaged 18.2 points per game, 5.7 rebounds, 5.7 assists, and 2.0 steals all while shooting 44% from the field. In the 08-09 season, he averaged 18.8 points, 5.7 rebounds, 5.3 assists, and 1.6 steals while shooting 47%. Both of those seasons Iggy received 0 recognition, and they were easily his two best years. In the playoffs, the team as a whole couldn’t quite get it done, but Iggy more than did his part. 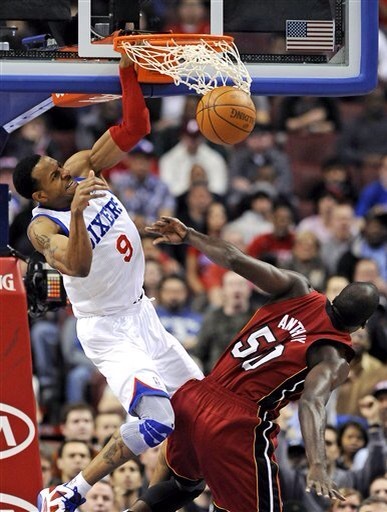 In 2010, facing the defending eastern conference champions, the Sixers managed to push this series to 6. Notably, Iggy had a game winner in Orlando in this series. He’s always been a clutch player believe it or not. You can look it up on YouTube he has more than you would expect. Our one saving grace was the 2012 season. which ironically was Iggy’s last season, when we took down the 1st seeded Bulls after Rose went down and came VERY close to beating the Boston Celtics; which even to my own surprise took 7 games for us to go down. That following offseason began a new chapter for Andre in the infamous trade that netted the 76ers Andrew Bynum, the Nuggets got Iggy and some picks, and the Magic received the 76ers young center Nikola Vucevic (facepalm). The Nuggets ascended that year with young Ty Lawson making a huge jump, Danilo Gallinari being the main scorer for more than half the season, and once again Andre being the glue that holds everything together as the playmaker, the 2nd best rebounder, and guarding the best guy on the other team every night. 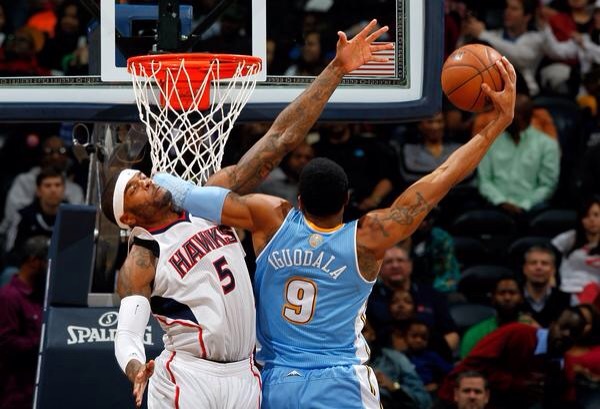 The Nuggets became the 3rd seed and became an underdog pick for many. Then that’s when we all got to meet a guy named Steph Curry. Steph dominated the Nuggets, completely dismantling them. That offseason Iggy chose not to resign with the Nuggets but instead went to join the Warriors. It was the kind of move I said at the time that could push the Warriors over the hump 3-4 years down the road from that point. Andre’s first season with the Warriors started out very well. He hit a game winner against the Thunder after a ridiculous Westbrook shot, then had a 2nd game winner against the Hawks. Then a leg injury seemed to hamper him the rest of the season. He was still effective, but not playing up to his standards. Then came the 2014-15 season. With a head coaching change that had many scratching their heads, and even though I was in favor of a scheme change for more ball movement; I still wasn’t expecting this much of an overhaul. Kerr came in and asked the former all-star before the regular season to come off the bench. Initially, Andre took the role reluctantly but then soon began to thrive leading the 2nd unit. There was a legitimate argument that Andre should have been 6th man this year even though the stats were not anything special. You could not quantify his overall impact when he came into games. Then the playoffs came where he played tremendous defense, in particular LeBron and Harden had a lot of trouble whenever Andre was standing in front of them. 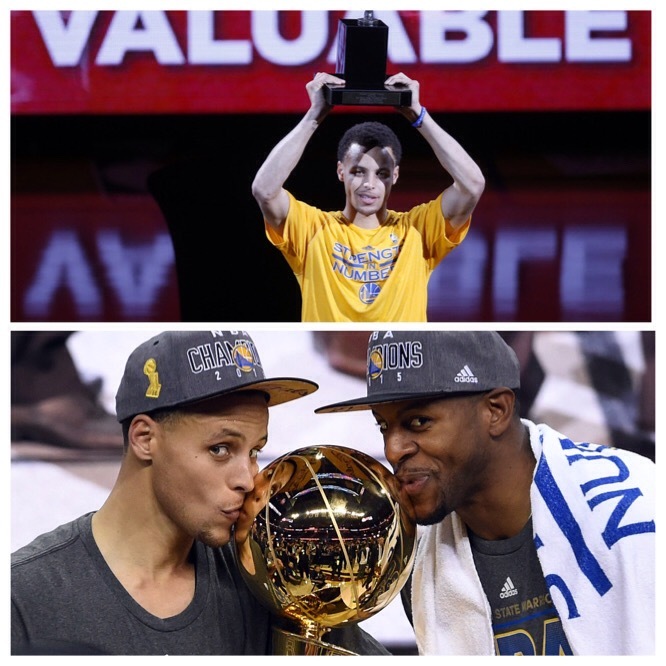 This Finals series became a story about Andre more than anything else. The Cavs plan was to double Steph any chance they got, keep a guy face guarding Klay, and have someone else drop down to protect the paint. The Cavs were doing their best to force Andre and Draymond to beat them. It took a few games for Draymond to step up, but Andre was answering the call from the very beginning. It just wasn’t enough and the Warriors were forcing a lot of unnecessary shots in the first 3 games. Out of those 3 games there was no doubt that through all of the struggles, Andre had performed head and shoulders above everyone else on his own team. He was playing like a veteran who’s been there before despite never reaching a conference finals before this season. His defense on LeBron, his timely buckets when the Cavs forced him to shoot, and the way he ran in transition is what earned himself the MVP. This is a special time for me. In basketball, as a fan, I don’t seem to win when going for my teams or guys. I am a 76ers fan and the closest we’ve come to winning anything is when Iverson was trying to find a way to beat the best duo in history that was Shaq and Kobe (another argument for another day). Even though the 76ers are not holding up a trophy right now, it feels like a small victory for me. The guy I grew up with for a good portion of my life that was leading my team to playoff appearances has won a ring. But he didn’t just get on a good team to ride along for the ring. 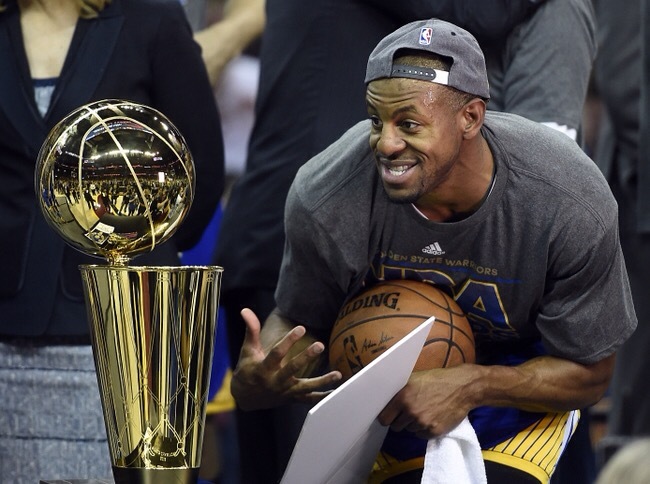 Andre Iguodala is the NBA Finals MVP. He has etched himself into history and possibly has a spot in the hall of fame waiting for him because of this. Although we’re suffering through one of the worst stretches in franchise history, the rest of my 76er fans should feel a small victory for the guy who tried to carry us for so long; that now has a Finals MVP.